Heitor Villa-Lobos (1887 - 1959) is recognized as one of the most important composers of the Americas. His output is approximately one thousand works with more than 40 works for orchestra, 9 concerti with piano, 15 concerti for various instruments and more than 50 chamber music works. 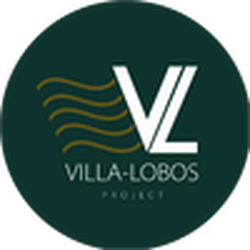 The Villa-Lobos Project aims to promote consistenly the brazilian classical music internationally, we believe this repertoy has the potential to attract large audiences world-wide with its sheer force and expressivity. ​The project started with Sonia Rubinsky and Simone Menezes who opened a dialogue with artists, musicologists, sociologists, the Brazilian cultural intelligentsia, producers and institutions around the world with the intent of obtaining for this repertoire the international recognition it deserves. Among our actions, we encourage cultural projects and orchestras to explore in their repertoire works by Villa-Lobos and Brazilian Classical conposers: (1.) Provide strategic and musicological consultation in programming Villa-Lobos, taking into account the profile of each orchestra and their appetite for innovation. (2.) Recommend Brazilian artists. (3.) Offer assistance with scores and orchestral material. ​We welcome inquiries from interested programmers and artistic directors aiming to explore collaborations.